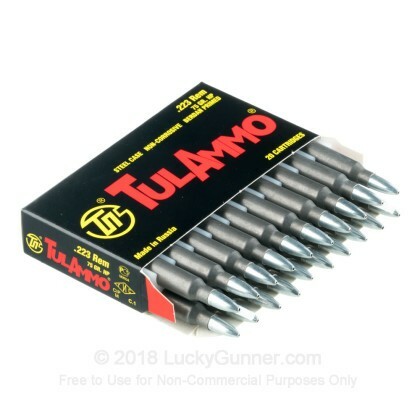 I bought 1000 rounds of this ammo for a 2 gun match and was very happy with it. Like all Russian ammo, it does burn dirty, but with a little rag and oil who cares. The ammo was highly accurate. I shot it out of my franken AR with a 18" .223 Wylde barrel. At 100 yards I had about 1.5 MOA. That's shooting from a talgate rest and me not being some "sniper" shooter. The ammo did great at the match and I never had a single FtF or FtE. Ran great. 10/10 would recommend. I bought 1000 rds of this. 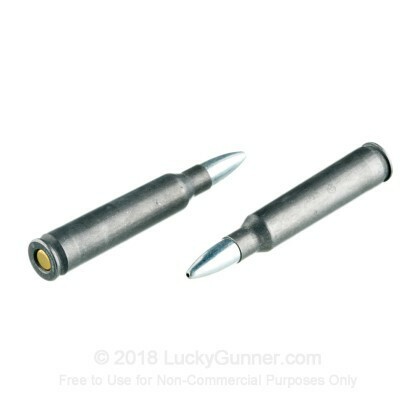 I wanted to compare it to the Hornady Steel Match with the same bullet weight. Shot it through a Mossberg bolt gun, 10 X scope. !.5". Got 2.5" out of 11.5" AR with red dot sight. 1.5 to 2" out of precision 18" AR set up for 3 gun with scope at 5X. All groups shot at 100 yds from a bench. There were no failures of any kind. I keep reading and hearing about steel case Russian ammo being detrimental to barrels. I am a Patrol Rifle Instructor and have fired thousands of rounds of Russian 223 through quite a few different AR's. Chromed lined and not. I have seen no detrimental effects or excessive barrel wear or experienced any functioning problems. The way to improve your shooting is to, well, shoot. 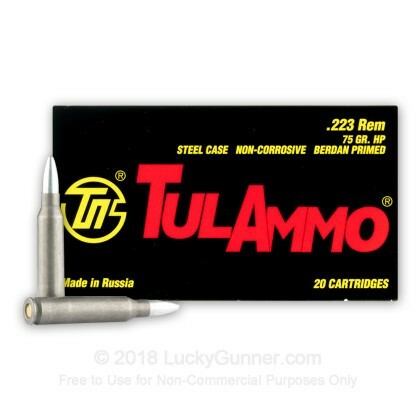 Save yourself some money and take advantage of the great bargain the Russian ammo offers in any of the bullet weights. 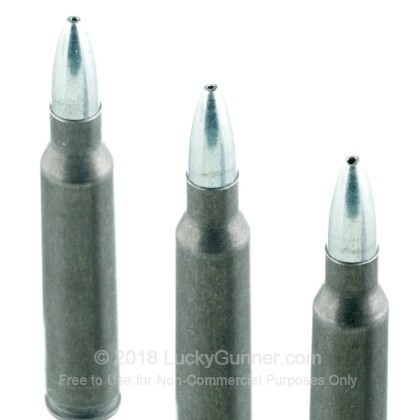 Bought 100rds of this ammo and shot it through my colt 6920 not a single problem. Did some rapid fire with it and still kept feeding and ejecting just fine. 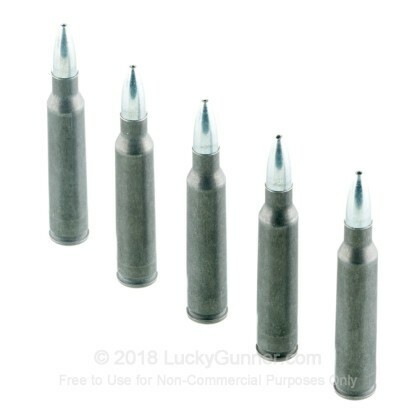 Great ammo for the price and grain. I will be buying this in bulk now that it's past my test. 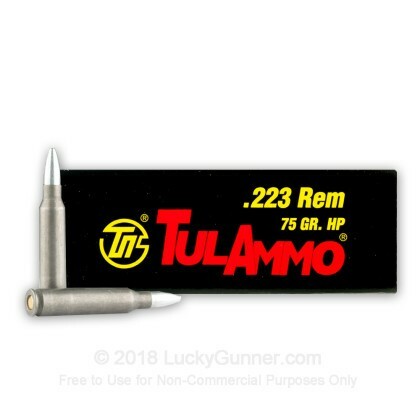 We also have this 223 Rem - 75 Grain Hollow Point - Tula - 1000 Rounds ammo in stock in a bigger quantity.